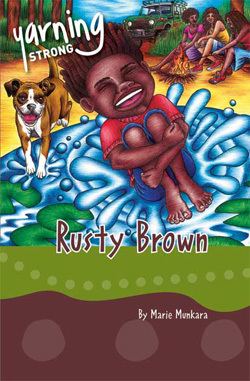 Rusty Brown lives on an island with his family and a cheeky dog called Ringo. One day there’s a knock on the door, and they all get a huge surprise. When Mum opened the front door she knew who Aunt Poppy was straight away, even though they hadn’t seen each other for more than thirty years. Text type: Rusty Brown is a literary recount in novel form.